The East Windsor Residence site had a limited buildable footprint due to a 40″ setback, which led to a narrow, modern, three story, 4,200 sf home that makes the most of extraordinary northern, southern, and eastern views. 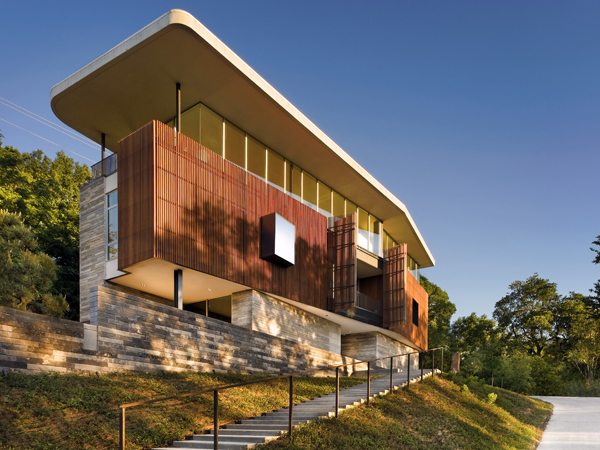 The exterior base of the residence is made up of long courses of black Leuders limestone, which support a key design feature, a 16’ ipe rain screen. The screen wraps around the middle of the building and includes two steel box windows. At the center of the second floor is a formal dining room that has access to two 10 ½” foldable sections of the exterior screen. 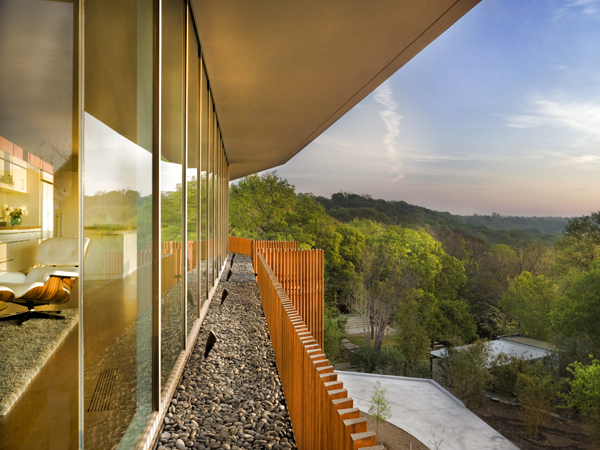 When folded the sections reveal views of the greenbelt and skyline.